They claim that evidence of our climate research was unearthed recently by InsideClimate News and the Los Angeles Times after being suppressed as part of a conspiracy to deny the existence of climate change. ExxonMobil is a science- and engineering-based company and we employ roughly 16,000 scientists and engineers who every day explore the boundaries of scientific knowledge in order to develop the energy supplies that power the modern economy. As I’ve noted in prior posts, our scientists and researchers were among the first to grapple with the fact there might be a connection between the carbon dioxide emissions from humanity’s use of fossil fuels and climate fluctuations. It should surprise no one that we have remained committed to pursuing climate change research since that initial discovery. We have worked closely alongside other top scientists on the U.N.’s Intergovernmental Panel on Climate Change since its inception in 1988 – a collaboration that continues to this day. I have taken the liberty here to copy a chart from the IPCC’s latest assessment showing the organization’s scientific evaluation of the range of possible climate change scenarios. This should refute the claim, central to activists’ conspiracy theories, that anyone had reached a firm conclusion about catastrophic impacts of climate change back in the 1970s and ‘80s. As you can see, the scientific community that contributes to the IPCC report is, even today, still projecting a broad range of potential outcomes. As part of our work on climate science, we also participated in the National Academy of Science’s review of the third U.S. National Climate Assessment Report. And we have pursued collaborative research with leading universities such as MIT and Stanford. These efforts have engaged scores of faculty and students and resulted in hundreds of scientific publications on global climate change and low-carbon technologies – and we’re proud of the continuous role we’ve played in working with the scientific community to better understand this issue. 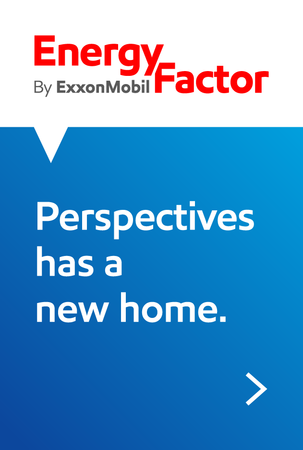 ExxonMobil scientists have contributed climate research and related policy analysis to more than 50 papers in peer-reviewed publications from 1983 to the present. These are all publicly available and always have been. This research dovetails with other actions we have taken over the years to investigate the possibilities of next-generation energy technologies. Our broad portfolio of biofuels research doesn’t just investigate the potential of algae, it also looks at turning cellulosic feedstocks into motor fuels. Other ExxonMobil researchers are working on advanced engines and lubricants designed to increase efficiency. ExxonMobil scientists helped develop the lithium-ion battery – a technology that not only is found in every smartphone, it is the basis for the battery technologies being pursued by Tesla and other carmakers. On top of this we are a global leader in carbon capture and sequestration, collaborating in research and development into revolutionary ways to make this technology more affordable and commercially viable. What we have understood from the outset – and something which over-the-top activists fail to acknowledge – is that climate change is an enormously complicated subject. The climate and mankind’s connection to it are among the most complex topics scientists have ever studied, with a seemingly endless number of variables to consider over an incredibly long timespan. And any responsible dive into the topic must take into account the monumental scale of the world’s energy challenges. You can’t ignore the fact that all credible forecasts conclude that roughly three quarters of mankind’s energy needs will continue to be met by carbon-based fuels for the foreseeable future. Three decades after we began this research, our view hasn’t changed, and it’s worth repeating that it lines up with that of the broad scientific community. Climate change is not given to a single, simple conclusion, nor to a single, simple policy solution. To suggest so is, well, simplistic. Because of the huge scale of the world’s need for energy, solutions are not easy – they will take time, investment in R&D, and thoughtful public policies. What is needed are more scientists and engineers to work on this challenge and less of a focus on false solutions. ExxonMobil’s scientific and engineering mindset drives us to search for feasible means to produce and use energy in ways that are increasingly safe, secure, and environmentally responsible.